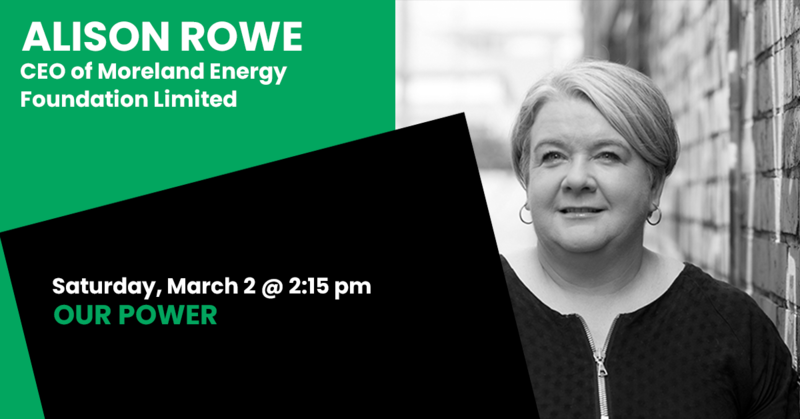 Alison Rowe is the CEO of Moreland Energy Foundation Limited and has been the inaugural Chair of the Future Business Council since March 2016, after joining the Advisory Board since its inception in 2013. Her experience in the sustainability field spans over 15 years and includes global responsibility for strategy development, designing and delivering transformation programs, commercialising new services, product development, consulting, marketing and advocacy. She has worked in all three sectors with experience across a range of industries. Alison has also held Non-Executive Director positions at Infrastructure Sustainability Council Australia, Bioregional Australia, Climate Alliance and Leadership Council – Public Utility Challenge (New York). She completed the Business and Environment program through Cambridge University, holds an MBA and Post Graduate Diploma in Technology Management, and is a Williamson Fellow.